Fortune favoured Apanui Ringamutu, the founding ancestor of Te Whānau-ā-Apanui. As a young boy he was given territory on the East Coast, including the Mōtū River. His many descendants cultivated these lands, and put profits from whaling back into their community. Today Te Whānau-ā-Apanui manages fisheries, forestry blocks and other successful ventures. Te Whānau-ā-Apanui's tribal territory is a strip of the East Coast from Te Taumata-ō-Apanui to Pōtaka. Whakaari (White Island) and the mountain Whanokao remain significant to the people. 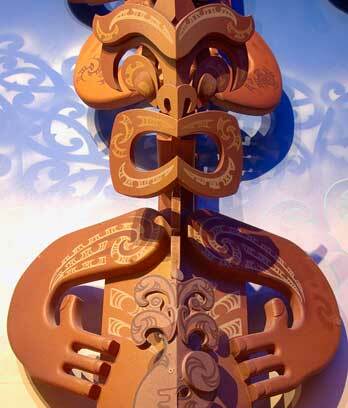 Apanui’s mother Rongomaihuatahi was descended from Porourangi of the Horouta canoe, who was a founder of Ngāti Porou. His father Tūrīrangi was a descendant of Tamatekapua of the Te Arawa canoe, and the Ngāriki people of the Tauira canoe. When Rongomaihuatahi took Apanui to meet his relatives at Ōmāio, they gave land to the boy. Because of his noble ancestry, the people in that area were named after him: Te Whānau-ā-Apanui (the family of Apanui). Apanui had four wives and many children and grandchildren. His son Tūkākī is commemorated in the meeting house at Te Kaha. Tūkākī’s son Tamahae became the tribe’s greatest warrior. In the 1820s and 1830s, European whalers taught the local people how to catch whales. This became a major industry for Te Whānau-ā-Apanui in the early 20th century. Whales were hauled ashore, then boiled down in big tri-pots to produce whale oil. The smell was terrible, but everyone enjoyed the meat. In the 1900s, land was cleared for cattle, sheep and dairy farms. Over the years, three tribal members won the Ahuwhenua Cup, awarded for achievements in farming. But during the 1980s, small farms struggled to survive. During the 20th century, many people left for opportunities in the cities or overseas. But others remain in their tribal region, and since the 1990s the governing body (Te Rūnanga o te Whānau) has run a fisheries operation. It also manages successful ventures including pine forests and social services. In 2013, almost 13,000 people said they were affiliated to Te Whānau-ā-Apanui.